Customer service is often at the heart of business which aims to deliver an outstanding service that makes the customer feeling respected and valued. Although providing an exceptional customer service can involve extra money, time and resource, when you execute it well enough you can stand out from your rival. It is not only encourage your existing customers to buy from your business again but also it gives your new customers a positive vibe. 67% of consumers mark negative customer experience as one of the main reasons for churning out and 39% of customers leave your products/service for a rival one after having bad experience – according to getfeedback. Measuring customer service success is crucial for the organization as it will understand the level of your customer service. A happy customer is a serial purchaser and an unhappy customer is a nightmare. So, you have to first understand the various metrics used in measuring customer service success. These metrics are also called Key Performance Indicators or KPI. Although these metrics are different in nature but their very goal is same – to better understand your customers and measure your support team’s success. Why is measuring customer service important? Measuring and monitoring customer service success is beneficial to understand how satisfied your customer are and how your team is performing in terms of the delivering quality customer support. The first and one of the very important benefits of measuring customer service success is it helps to reduce your churn rate. Secondly, as a business owner you want to provide satisfaction to your customer in order to increase customer base. So, measuring customer service helps to understand customer satisfaction. Thirdly, it helps to understand your team performance or productivity. You can learn about the list of KPIs below in order to measure success of your customer service team and the customer satisfaction. Customer Retention is the actions and activities organizations or companies take to make their customers to continue using their products or service. On the other we can say, it is the actions a company or organization undertakes to reduce customer defections. 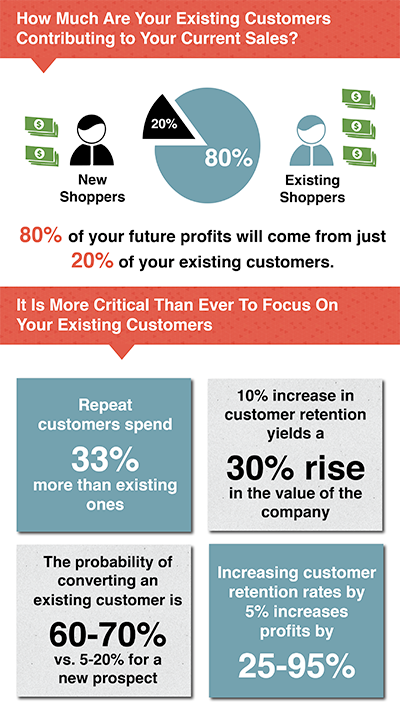 One of the main reasons company initiates a customer retention program to get as many customers as possible. Because returning customers drive as high as 7x times the revenue per visit than new-buyers. According to a study by Bain and Company, growing customer retention rates by 5% increase profits by 25% – 95%. What is more interesting is that 82% of organizations agree that it is cheaper to retain customer than attain. Measuring Customer Retention by formula: to determine customer retention rates companies use a simple CRR formula: Retention Rate = ((CE-CN)/CS) x 100 where CE stands for number of customers at end of period, CN denotes number of new customers attained during period, & CS refers to number of customers at start of period. It is not as complicated as it looks as from the above picture you came to learn that a 5% increase in retention rate improves the profitability per customer by 25%. Therefore, Businesses which are implementing effective customer retention program getting rewarded handsomely. One of the first KPIs to measure customer service success is The Net Promoter Score (NPS) is an index ranging from -100 to 100. It is a way of measuring customer readiness who are willing to recommend a company’s product or services to others. NPS was first introduced way back in 2003 to measure customer satisfaction and loyalty. 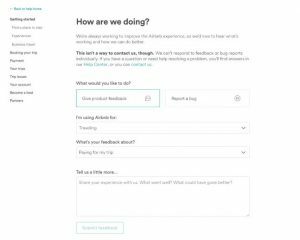 A company’s’ NPS based on answers to a single, specifically worded question asked to its customers: How likely are you to recommend our product or service to others? Responses range from unlikely (0) to very likely (10). CSAT refers to customer satisfaction and is measured by a score that shows how satisfied a customer is with a specific service or products. CSAT is one of the popular KPIs for measuring customer service and often used in tandem with NPS by many organizations. CSAT is measured by asking questions to a customer base their rate of satisfaction from a service or a product. The communication channels can be live chat, email or phone as a form of survey to the customers. On a scale of 1-10, how satisfied are you with _? For CSAT questions which do not ask for simple binary answer, it’s up to your organization to decide which answers count as Unsatisfied and which do not. You may fix that, on a scale of 1 to 10, anything above a ‘7’ rating counts will be considered as satisfied. Customer effort score (CES) is very similar to Customer satisfaction score (CSAT) but instead of asking how satisfied the customer was, you ask them to evalutate the their customer experience. In a way you are still registering satisfaction, but now you are guessing effort. The philosophy here is the easier it is to finish a task, the better the experience. Apparently, making an experience a low-effort one is one of the greatest way to decrease frustration and increase loyalty. First response time is a vital way of measuring customer service performance. It is the time between when a customer submits a ticket and when a service agent representative provides an initial response. First Time Response indicates the amount of time a customer has to wait to get help. It is also known as First Reply Time. Also it aids you to learn if your team is enough or need more resources. The formula of First response Time is pretty simple and it is done by subtracting the customer’s request time from the initial reply. Please see the image above to get the idea. Although First Response Time gives you a good first impression in the eye of your customers, it can not tell you if your customer is satisfied or not with the support he/she requested. Average Resolution Time, also called Time to Resolution is the average amount of time taken by a customer service team to resolve a support ticket after it has been opened. It is measured in days or online hours (factoring out your team’s offline time). Ideally you want your Average Resolution Time as short as possible. The shorter the time it takes to resolve a case the more happy the customer is and the more strong your team gets. Customer service manager can easily finds team’s ART by dividing sum of all times to resolution by total number of cases resolved. 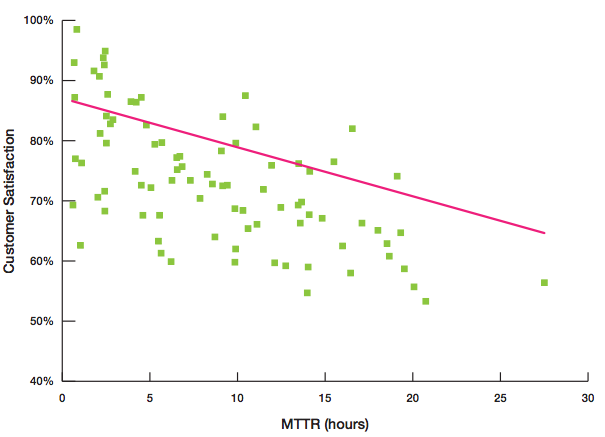 The correlation of Time to resolution to customer satisfaction is shown by the image below. From the image you can see the faster your customers’ request have been resolved, the happier they are. If your team takes too long to resolve their cases, customers will get frustrated and in the worse case scenario they might leave you for a rival company. The saying “time is everything” applies perfectly to the world of customer service. If you want to be a top dog in your industry, you have to be vanilla with your customer & it can only be achievable with a strong support team. You already know that it is 5 to 7 times more expensive to attain a new customer than it is to keep an existing one. You need to know whether your company’s given services or products are well-received by the customers or not. To know this, you can arrange surveys in the form of live chat, email, phone call, face-to-face meeting or even handwritten forms. Customers answers to these surveys can be analyzed to know whether changes need to be made in your company’s business operation to increase overall customer satisfaction. An unhappy customer is the worst thing that can happen to your company as they can do business with your rival companies. With surveys, you can get in touch with them and know their demands. Once you know their demands you are one step ahead to quench their thirst and make them loyal to your products or services. 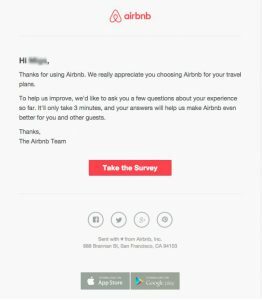 Airbnb hugely popular for its online marketplace and hospitality service, sends that email to its customers politely to know their opinion after their stay. If you see the email it is giving an option to the customer’s whether they want to share their feedback or not. As a matter of fact, Airbnb has increased the sheer number of hotel bookings by 25%, just with its referral program alone. Measuring customer service should not be only used for keep an eye on your customer service agents but rather to initiate execution and change. There are departments which can remain constant and do a good job but customer service department should be evolving and changing continuously. If you are not using all these above mentioned criteria in measuring customer service success than you are making no sense. But remember, customer service is more than about numbers, it is about people. You should never ignore your customers feedback and work onto these feedbacks to deliver exceptional customer service.